All Deals At Home Home Appliances Instant Pot Duo 7-in-1 Programmable Pressure Cooker 6-Qt. Expired Instant Pot Duo 7-in-1 Programmable Pressure Cooker 6-Qt. 2018 Black Friday ! 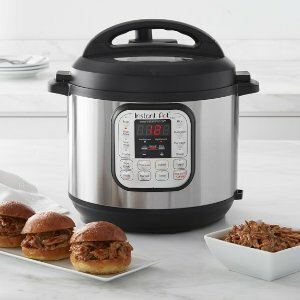 macys.com offers the Instant Pot duo 6 qt 7-in-1 multi- use pogrammable pressure cooker for $69.99. Online Sales starts from Nov 21 to Nov 24.